Bridging the gap between cutting-edge university research and economy-promoting commercialization for the benefit of our communities. 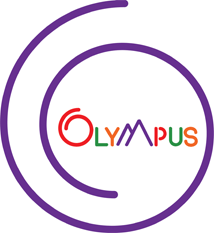 What is the Olympus Incubator Program? Project Olympus is a startup incubator program that encourages and supports entrepreneurship on campus. It helps faculty, students, and staff turn their cutting-edge research and great ideas into startups. We provide startup advice, micro-grants, incubator space, and connections for faculty and students across campus and with the wider regional, national, and global business communities. The startup projects are the centerpiece of the enterprise. Here teams of faculty, students, or staff from across the campus explore the commercial potential of their research and ideas. Guidance is provided at every stage by the Project Olympus in-house entrepreneurs-in-residence and a network of economic development partners. Have an idea? Fill out the Business Concept Template [.doc] and schedule a meeting with a Project Olympus Entrepreneur-in-Residence. Project Olympus Show & Tells provide a window into the many exciting startup and entrepreneurial endeavors on campus. It's also an excellent place for students and faculty to connect with the larger local entrepreneurial community. The Olympus Spark Grant Fund helps Olympus student startup projects kick-start their business ideas. Every semester, students submit proposals and pitch their ideas to investors, with winning projects going on to receive funds. The funds are provided by charitable gifts from alumni and other community donors. "Project Olympus was the perfect place to launch my first company. Through Project Olympus I was able to get critical insights on how to refine my product, my value proposition and my market strategy. Project Olympus also helped me form a core network of business connections and mentors who have helped me pilot multiple successful businesses over the years." James Jacob Huttner, M.D., Ph.D.